What are the best file storage services? Today, communications are mostly shared through files, documents, photos, videos, and the like. Reliable, simple, and effective tools are a must for trips and meetings. As you know, PlanetHoster’s solutions are designed to offer you high performance, increased security, and top-quality around-the-clock technical support. How does a quality web host save data? 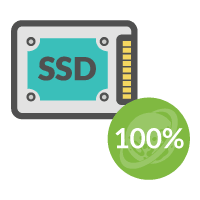 At PlanetHoster, our storage systems are equipped with 100% SSD hard drives to deliver quality web hosting services. Data are dispersed using multiple RAID 10 fragmentation. So, when you upload 1 GB of data, our systems require around 2 GB of space to store it. Then, to effectively protect your data, we perform daily backups to a second physical data centre. This second replication point is equipped with RAID 6 and RAID 10 storage disks. In short, PlanetHoster uses around 4 to 5 GB of infrastructure space for a 1 GB client. This means that if a file is of relatively low importance, a low-cost storage solution is preferable. The hard drives used for storage services are less powerful but have ample space. They also don’t need multi-layered RAID protection or remote backups, and no resources are required for complementary services such as Web Server (httpd), SQL (MySQL, PostSQL, etc. ), and E-Mail (Exim, etc.). Network latency constraints are more flexible. In contrast to traditional websites that require low latency for, let’s say, their SEO strategies, the data stored by PlanetHoster do not need to be kept easily accessible for visitors. Looking at the results, costs are 75% to 90% lower than traditional high-performance web hosting. Because of increased client demand, we plan to soon offer a low-cost storage solution. This solution will feature data protection using advanced encryption algorithms, a feature we are using elsewhere. We offer R1soft backups free of charge to all our World platform/Multi-World clients! What’s more, clients using the HybridCloud dedicated server get their server replicated free of charge on PHBackup, an internal PlanetHoster storage infrastructure. While we still don’t have an approximate launch date for our low-cost storage solution, we have selected for you other attractive cloud storage solutions. What are the best low-cost file storage tools? A quick, interesting video about Apple’s Siri – There was no video about iCloud at the time of writing. A new, interesting solution: decentralized storage. You can even make money on the side. If you have comments or suggestions, please share them with us below.